Basil is one of my favourite herbs, not only of the warm months, but all year-long. Lucky enough to have supplied myself with it all season, I use it in everything from a quick salad to my best pasta dishes. My good man makes homemade pesto at the end of the summer. There are so many varieties of basil, and I have used a few, but my preference is for sweet. 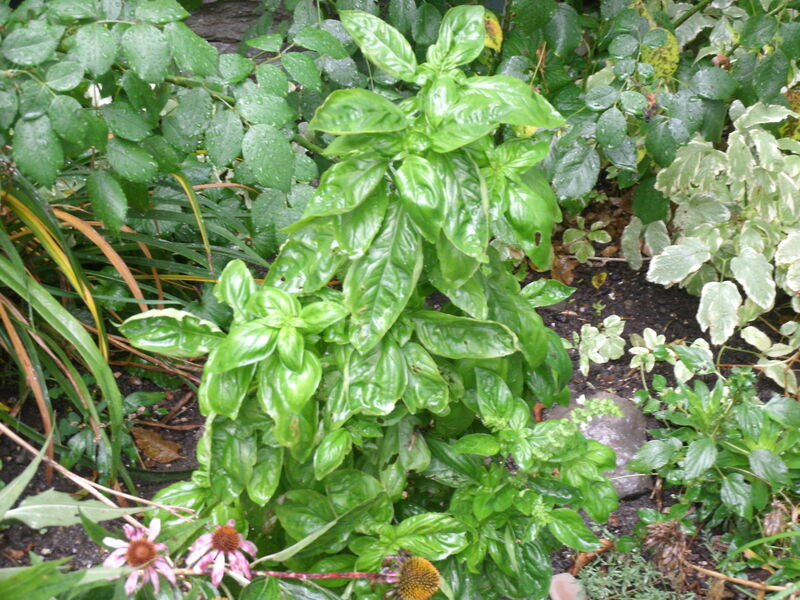 Basil was originally a native plant of Iran or India, although there is some evidence it may have come from Africa. It arrived in Europe via the Middle East to Italy, France then England, and the first immigrants brought it to North America (thank-you for that). While I grew it on my back deck, my neighbour Barbara saw three of her plants flourish in our shared front gardens. Often times I feel the need to stop people from picking it as they walk past and see these lovely plants, but then I think, why would I? We should pass this good thing on (just don’t help yourself when the supply is low!). 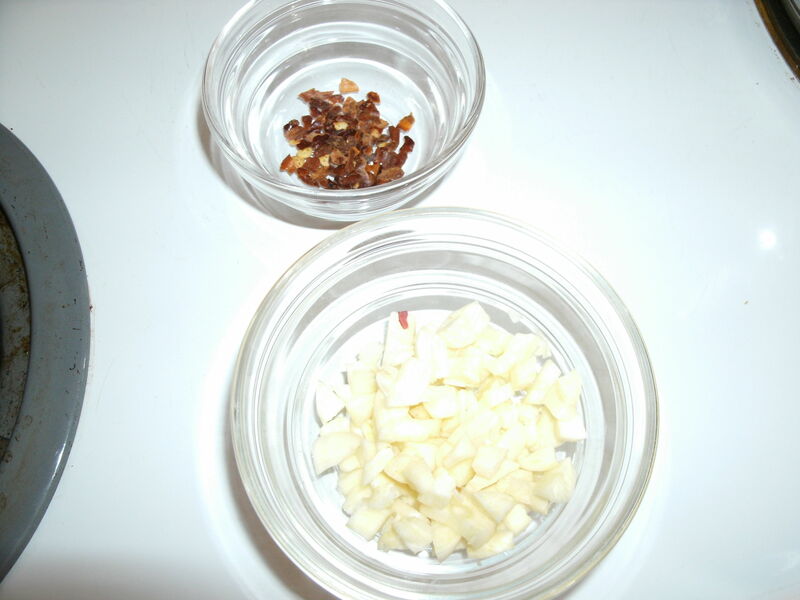 Throw everything in the food processor and combine until desired consistency (stop to scrap down the sides). We use it on homemade pizza in place of tomato sauce, mix it with fresh pasta (serve hot or cold) and spread it on fresh baguette. I picked up a wonderful mix of tomatoes on my usual Wednesday morning trek to the Byward Market. I like to get there early, enjoy a cafe au lait and apricot brioche at Le Moulin de Provence. It gives me an opportunity to speak to the vendors and see whats available before they get too busy. Usually by 8:30 I have made my purchases and already heading home to write for the rest of the morning (this particular morning I was also lucky enough to enjoy a cup with Don of FoodiePrints). 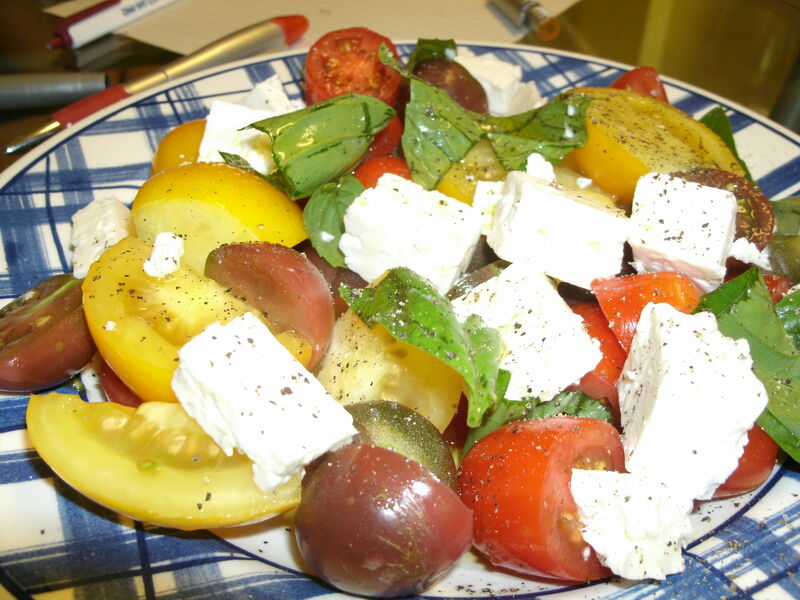 I love the Heirloom Tomato Salad with Buffalo Mozzarella from the Earth to Table cookbook. With this recipe in mind I made a similar version for dinner last night and it was lovely. Each tomato was like a mouthful of sun, the definition of summer. I used feta and fresh basil I picked from my garden. It really was divine. Feeling in the need for some soup and trying to think of something to go with the stuffed peppers I am making tonight, I thought what better than a tomato cream? 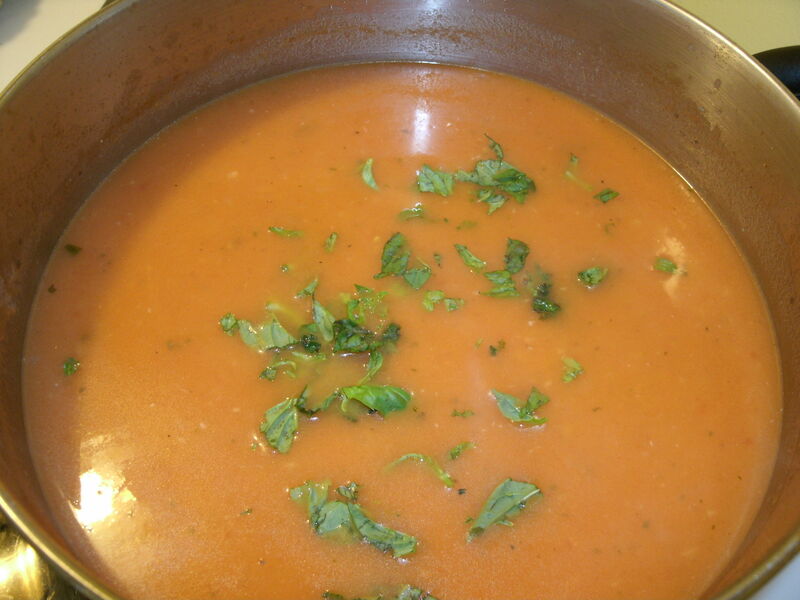 A variation on the Rebar Tomato Cream, this soup was quick and easy, made the kitchen smell wonderful and tasted divine if I do say so myself. My apologies to the purists but I used canned tomato as opposed to fresh (cause their not really fresh…..) and it was good use for the numerous cans in my cupboard. Warm the broth and keep warm. 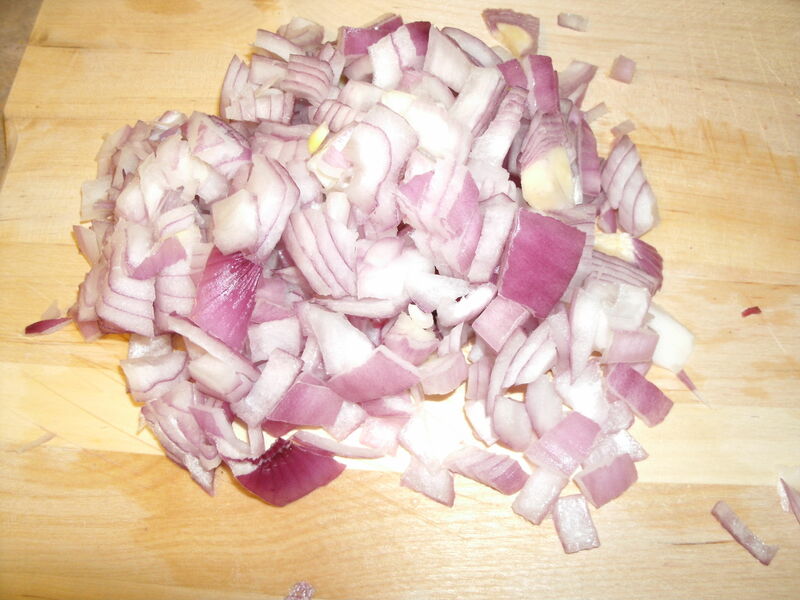 In large soup pot saute the onion in olive oil until transparent. 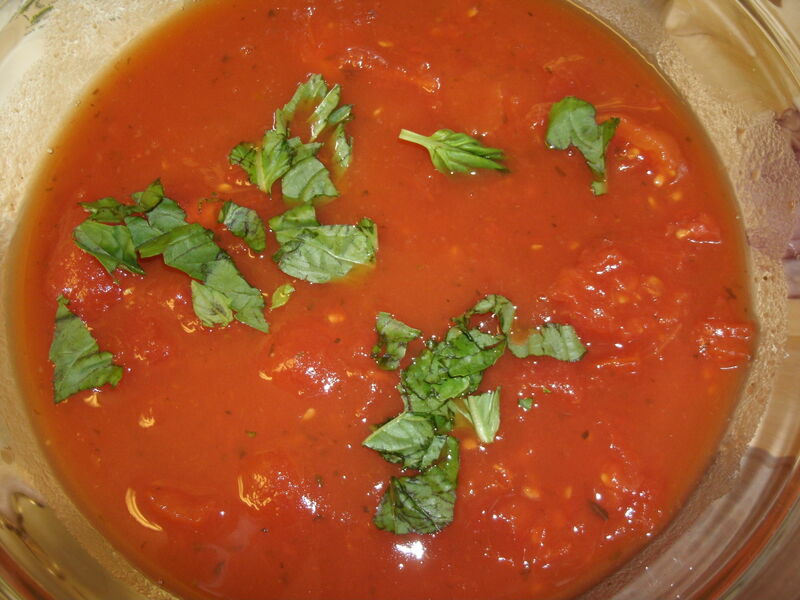 Add garlic, chili flakes, 1/2 of the basil and 1 tsp salt, stir for 2 minutes and then add broth and tomatoes. Bring to boil cook for 10 minutes, turn to low and simmer for 20 minutes. Add cream and milk, the rest of the basil and salt. Serve. There are lots of ways you can adjust to your preference, use other fresh herbs, use vegetable broth instead of chicken etc. Just enjoy!